The Kingdom of Morocco is the only African country with coastal line to the Atlantic Ocean & the Mediterranean Sea, borders with Algeria and Western Sahara and just a short crossing to Europe. 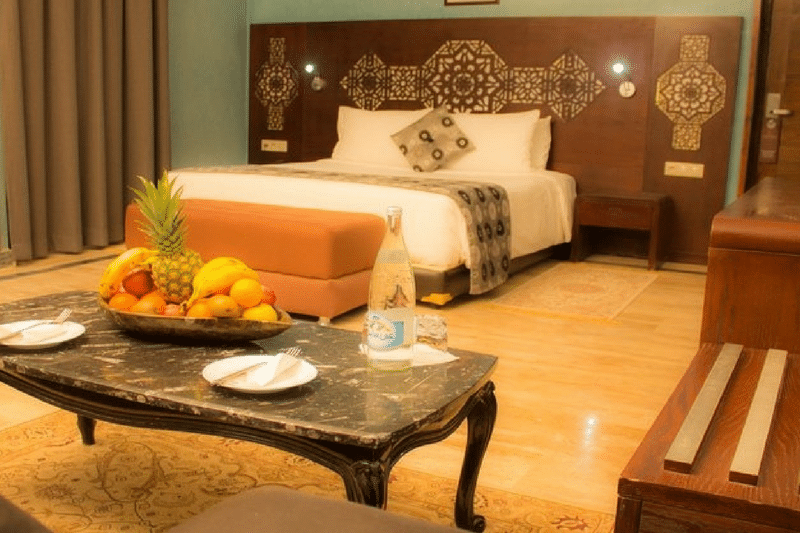 Upon arrival at Casablanca, your journey will begin with an orientation tour of “The White City”. 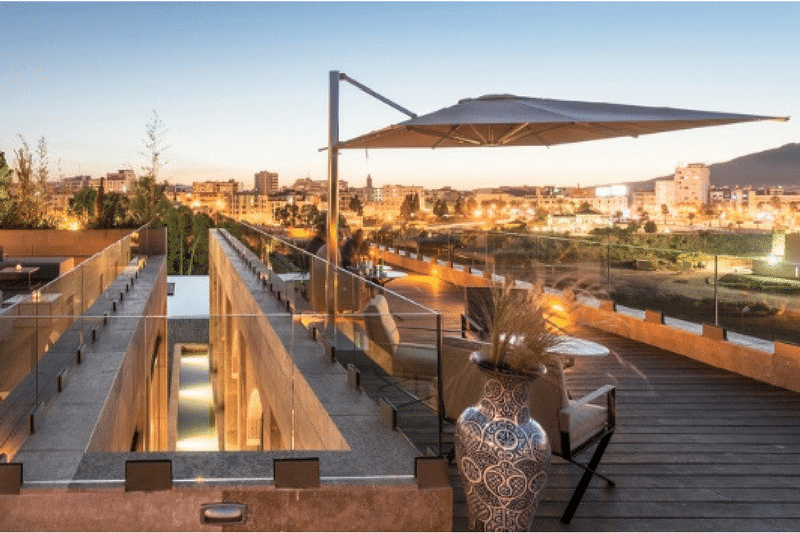 Casablanca, a chief port, is the financial, commercial and manufacturing center of Morocco. 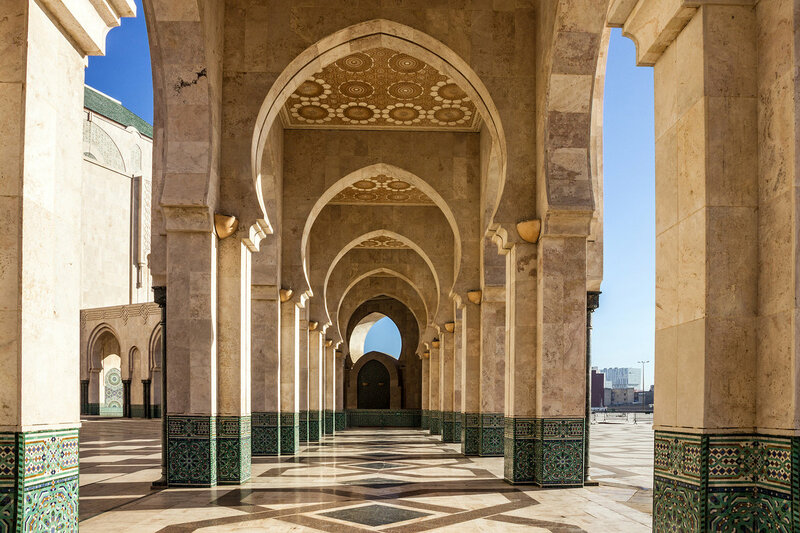 Drive along the wide boulevards and pass the Mosque of Hassan II. 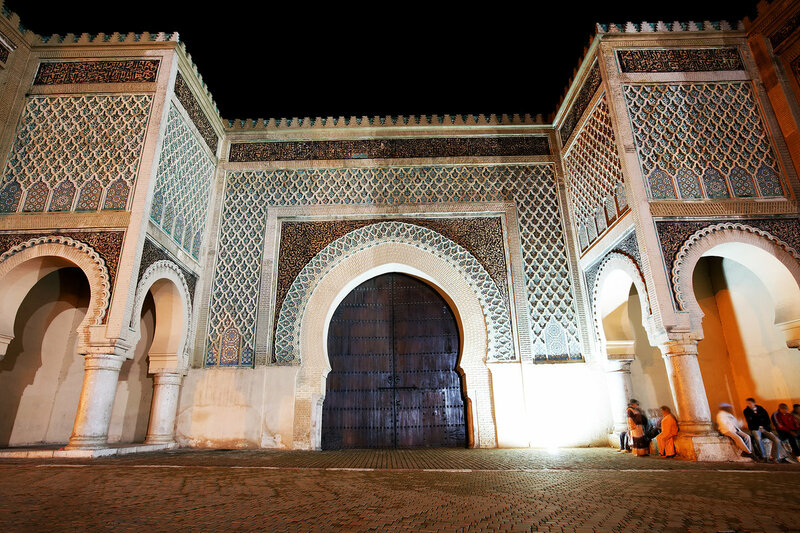 Walk through the narrow streets of Medina Depart Casablanca and continue to the Imperial “garden city” of Rabat. Check-in at your hotel. 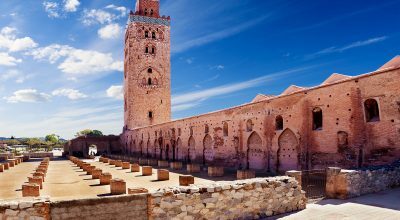 Morning tour of Rabat will include the Kasbah of the Oudayas, the Hassan Tower and the distinctive and elegant Mausoleum Mohamed V. Depart to the Imperial City of Meknes, dating back to the 8th Century. See the monumental Gate of Bab Mansour before continuing to the Roman ruins in Volubilis. From here, view the Holy City of Moulay Idriss, which holds the tomb of Moulay Idriss - “El Akbar” (the Great) - the great grandson of the Prophet Mohamed and the founder of Islam in Morocco. 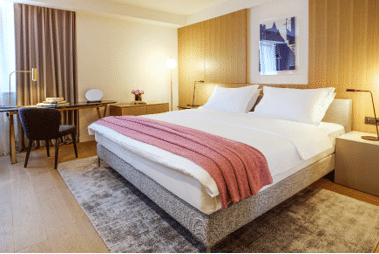 Continue to Fes and check in at your hotel. Fes, oldest of the Imperial Cities, founded in 790 A.D. Today, this city is the spiritual, cultural, and educational center of the country. This morning will include the monuments and historical sites such as the Karaouine University and Mosque. At the center of the square stands the Nejjarine fountain, decorated with tiles. This afternoon, walk along the winding cobblestone lanes of the ancient souk and to see the ancient Dyers Tannery - the view is memorable. Dinner and overnight will be at the hotel. We begin our long drive to Erfoud. 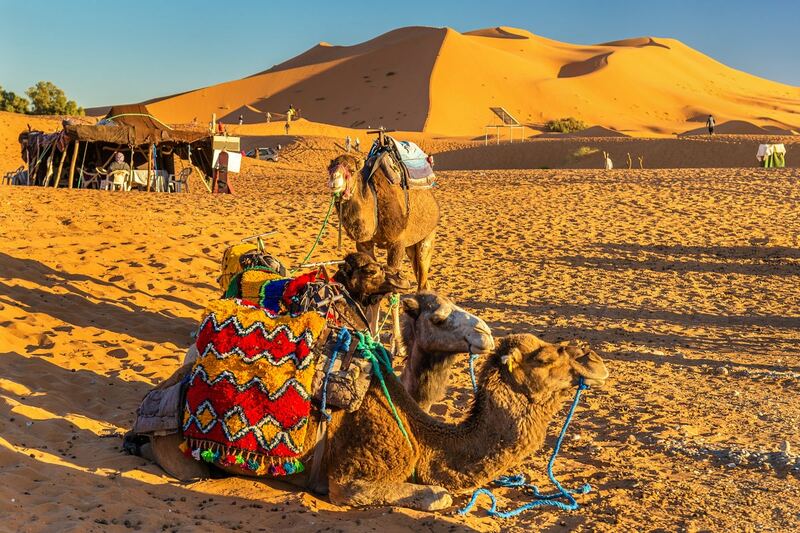 Continue past the former French Foreign Legion outpost of Errachidia, one of the largest oases in Morocco and the starting point for many excursions into the great sand dunes of the Sahara. Erfoud is the gateway to one of the most beautiful natural sites in the world, the UNESCO World Heritage Site, the amazing dunes at Erg Chebbi. 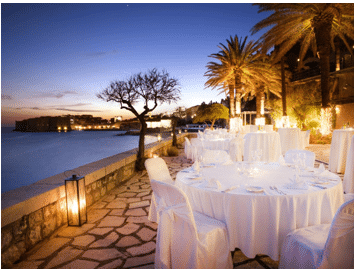 Dinner and overnight will be at your hotel. Depart Erfoud and drive through scenic dense palm groves and on to the inspiring Todra Gorges. Follow the banks of the river, drive through sheer towering walls of rock and throughthe road of thousands Kasbahs. We shall stop to visit the quaint village of El Kelaa De M’Gouna, known for its rosewater products before arriving in Ouarzazate for dinner and overnight. In Ouarzazate everything is calm, beautiful and fresh. Breakfast at the hotel. Day at leisure or take a full day tour to Zagora, Draa Valley and the village of Amzrou (an old Jewish village). Visit M’hamid, the last settlement before the Sahara. 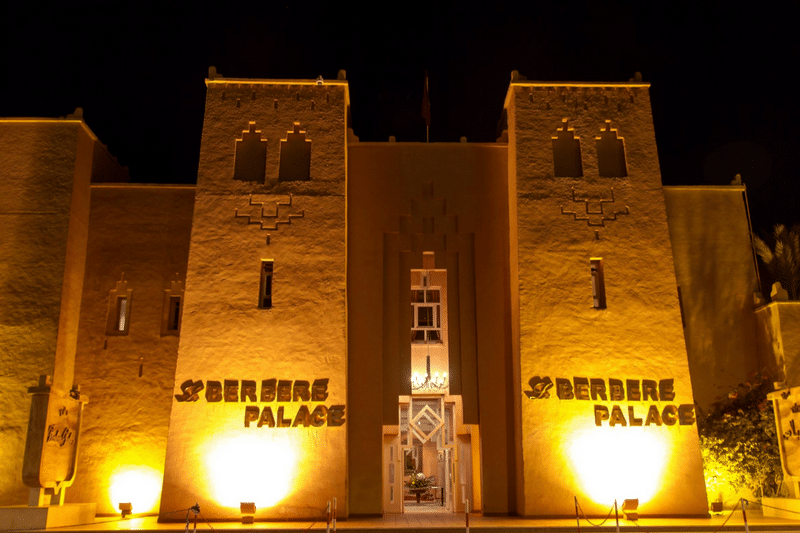 Return to Ouarzazate with a stop at Tinfou for a relaxing walk on the sand dunes and enjoying the sunset (weather permitting). 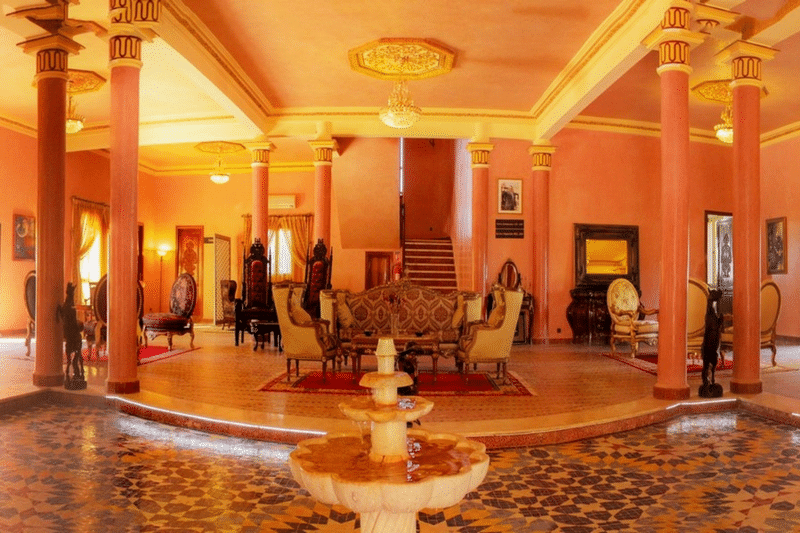 After breakfast at your hotel, we visit Ouarzazate, the center of Morocco’s film industry. 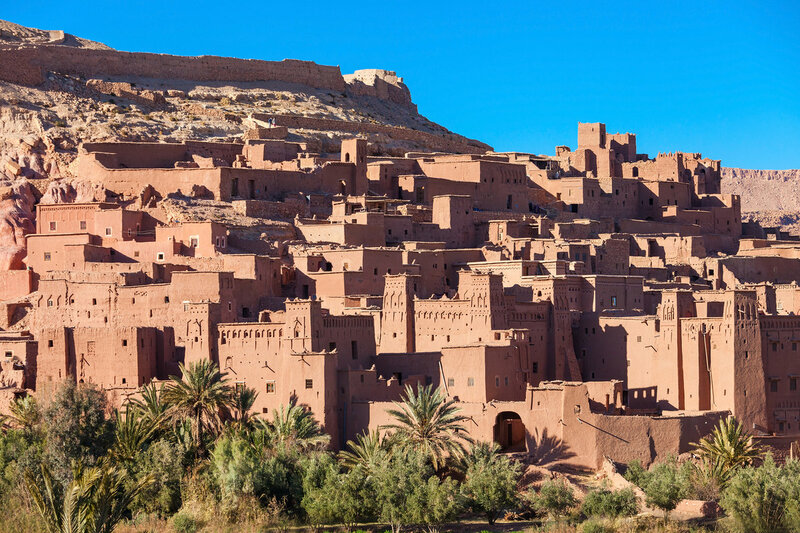 We shall visit the Kasbah of Ait Ben Haddou, a UNESCO World Heritage Site and one of the most spectacular fortresses in the south of Morocco. We shall continue via the Tizi-n-Tichka, Pass of the Atlas Mountains (2260m) to the exotic city of Marrakech. 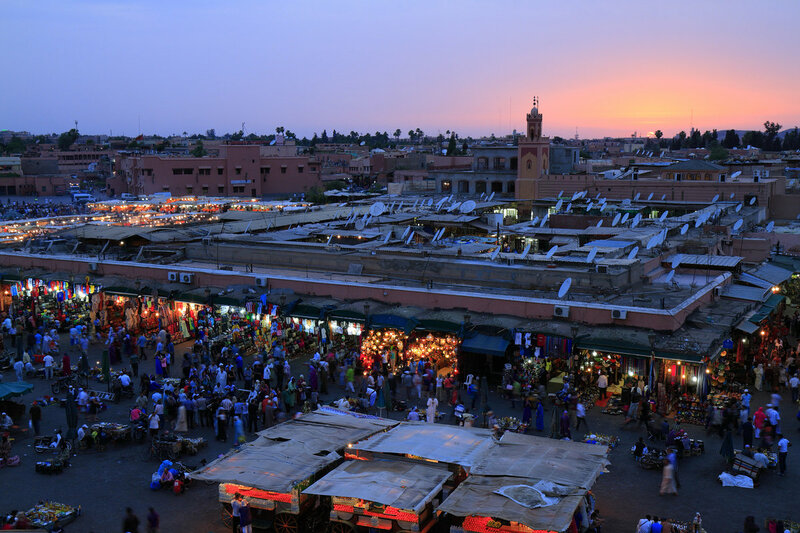 Sightseeing tour of this beautiful city includes the 16th century Saadian Tombs, the Museum of Moroccan Arts, the fragrant Menara Gardens, the souks of Marrakech, the magnificent Bahia Palace, Djemaa-el-Fna Square - the heart of Marrakech and more... Lunch at your hotel is included. 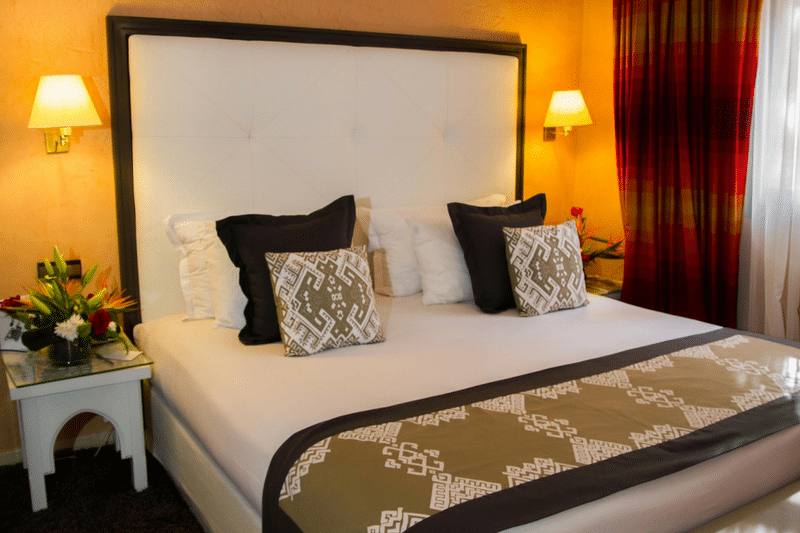 Tonight, enjoy dinner and a folkloric show at “Chez Ali,” serving typical Moroccan cuisine, family style in lavishly decorated tents amidst music, local entertainment and an equestrian show. 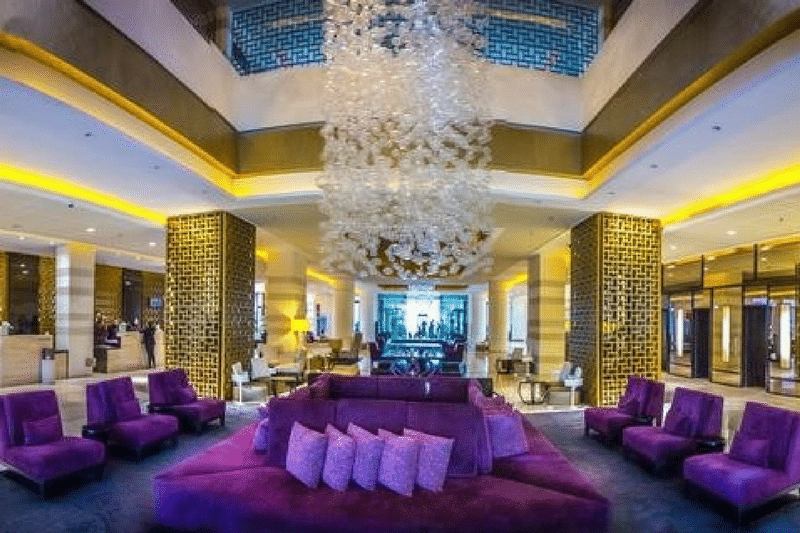 About the hotel: The five star Sofitel Rabat Jardin des Roses is located close to the Royal Palace and surrounded by marvelous 7 hectares os Andalusian gardens with 3000 roses. 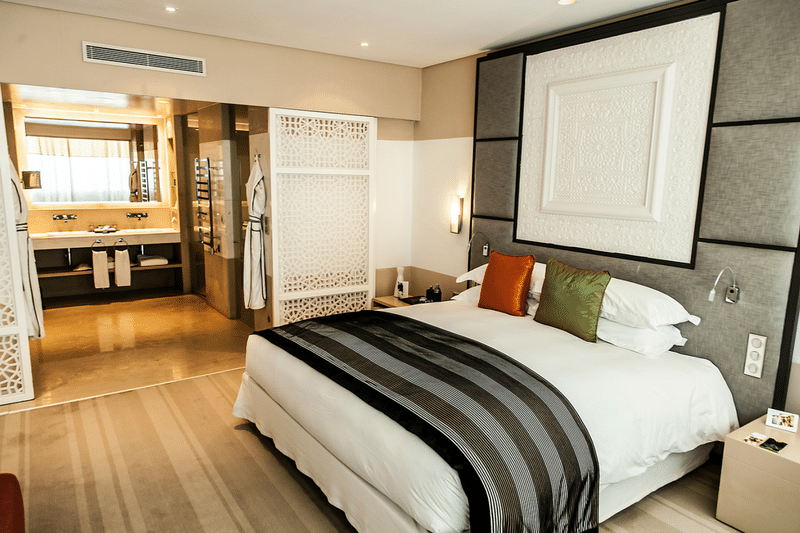 About the hotel: Hotel Sahrai occupies a dominant viewpoint on the largest medina in the Arab world. 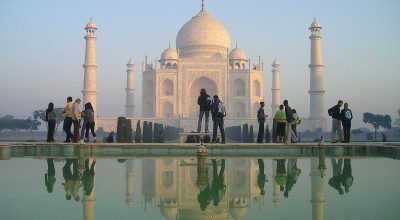 Its architecture marks a link between tradition and contemporaneity.